The Suburban Style Life: It's A Boy!! Boy!!! We are so thrilled to announce it's a very healthy baby BOY! We couldn't be more excited, we are so blessed! We are in love with his cute face already! 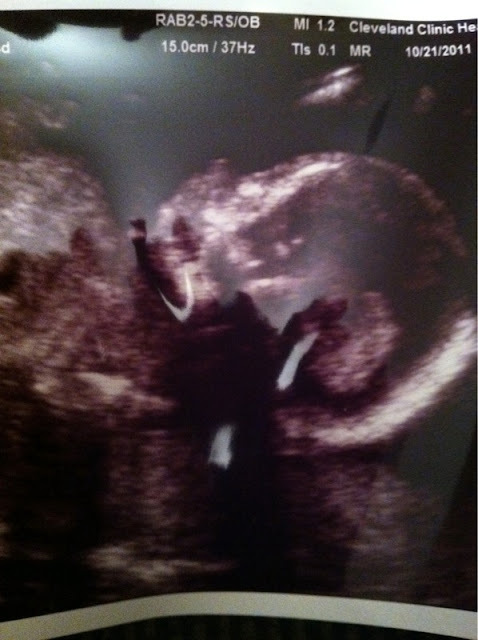 He has Jillian's nose, it's so sweet. Congratulations!!! What a perfect addition to your sweet family! Aw, congrats!! So happy for y'all!! Congrats! So happy to hear everything is healthy! Boys are SO much fun! I seriously kept checking FB to see if you had updated until I finally contacted you! I am so happy for you!! Congratulations on the baby boy and GO TEAM BLUE!! YAYYYYY!!!! Congratulations!! I'm so excited for you....all four of you!!! Congratulations!! I've taken a bit of a blogging break so it's really exciting to come back and find that you are expecting. I hope it's been a fabulous pregnancy so far. And how fun to be able to plan for a boys nursery! I am so happy for your family! Congratulations! Congratulations! Little boys are so fun! Oh wow, that's wonderful! Time to go shopping! Congratulations! I am so thrilled for you!! Congrats Karen! We are so happy for you here in Youngstown! I am expecting also, but a little later than you! A little boy and a little girl, what a perfect family! So freaking happy for you and your family! Woo hoo! So exciting! Congratulations and he is a cutie - you can tell already! Congratulations to you and your family! I was thrilled to see this when I stopped by to say hi today. :-) And congrats on having one of each...it's the best of both worlds! YAY YAY YAY!! A darling baby boy! Just look at his adorable profile. How could you NOT fall in love?! Wishing you happy & healthy months ahead, mama!